A version of this post first appeared July 2018. This March 2019 update precedes the Grassfed Exchange: Regeneration Rising 2019 conference. 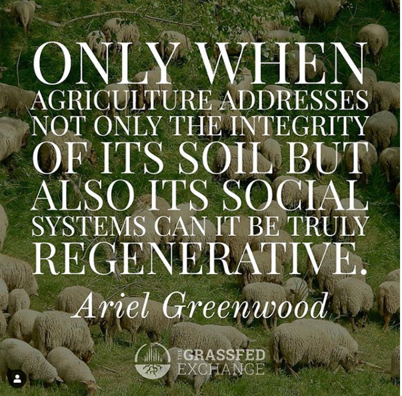 Many of us in the soil health movement like to think of ourselves as regenerative businesses. But a regenerative mindset isn’t only about land, animals, and plants. Building a regenerative business means including ourselves. We need to invest in what Nikki Silvestri calls social soil building. PastureMap's mission is to help farmers and ranchers make profits building healthy grasslands. Helping ranchers make profits building healthy grasslands.